This is part III of a series called ‘Backdoor Revolution’, written to summarize some interesing things I learned while writing a new book about ADUs. As a result of the non-professional skill-set of ADU developers, some things must happen differently to foster ADUs that don’t typically need to happen in order to foster typical single family housing development. Intimately studying the differences that stem from this single nuance will significantly help both governments and entrepreneurs to better understand how to help successfully foster ADU development. 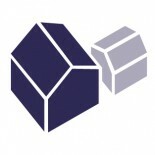 AccessoryDwellings.org is one approach to help bridge the educational gap. My in-person classes, online class, and ADU book are also attempts to bridge the educational gap. But, even with all the educational tools in the world, there’s still a huge learning curve for the millions of possible ADU developers when it comes to actually doing it. Even after being fully educated about ADUs, ADU development will remain very challenging for individual homeowners who haven’t developed housing before. Partially as a result of who is developing ADU, as the market grows up in various jurisdictions, it will foster a range of specialized cottage industry businesses, some of which don’t exist today. This is exciting, and means that there’s a lot of room for niche ADU specialties to emerge in larger markets. In markets where ADUs are starting to take off, there’s tremendous demand for small-time ADU-focused designers and builders. And eventually, a modular ADU development model will succeed. And eventually, some smart kid will figure out how to simplify VR modeling of architectural designs to make spatial visualization ten times more useful and easy than it is today. VR tools will enable greater design confidence for homeowners who haven’t studied plan-view and section-view architectural drawings before. And eventually, a bank will figure out how to loan against the future rental income of an ADU, and make a killing. You can read about what makes ADUs different and how to foster them in Part II of Backdoor Revolution- The Definitive Guide to ADU Development, is now available for pre-order. Backdoor Revolution received media coverage on City Lab and Curbed.com. This entry was posted on January 17, 2018 by Kol Peterson in Uncategorized and tagged book.